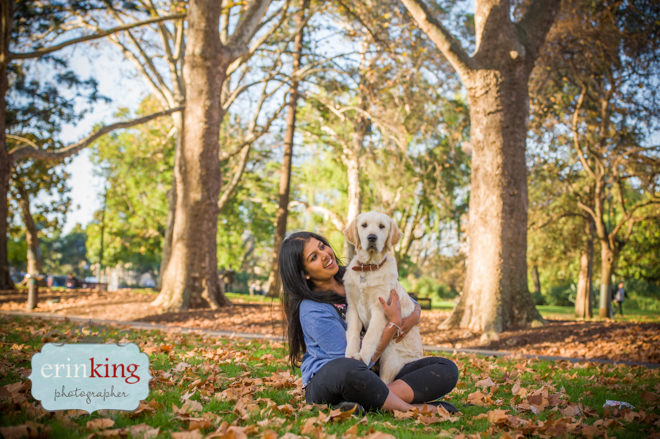 I first met Amanda and Ollie when I selected Ollie to be a part of the Friendly Dog Collars photo shoot. 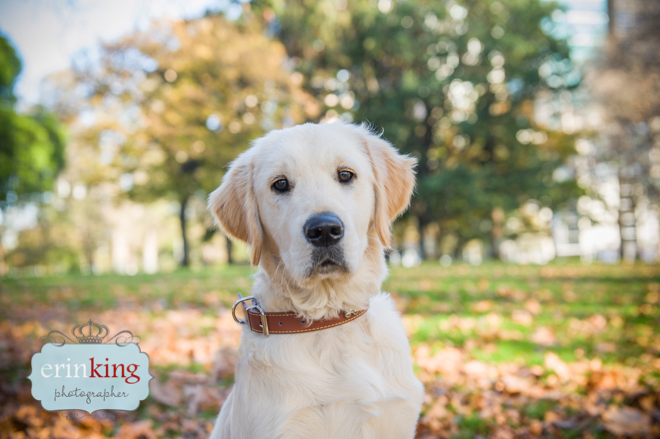 Being a puppy I was super impressed with how well he behaved for us in modelling the FDC clothing range and I was very happy when Amanda decided to book another session with me so we could capture more photos of Ollie while is is still young. 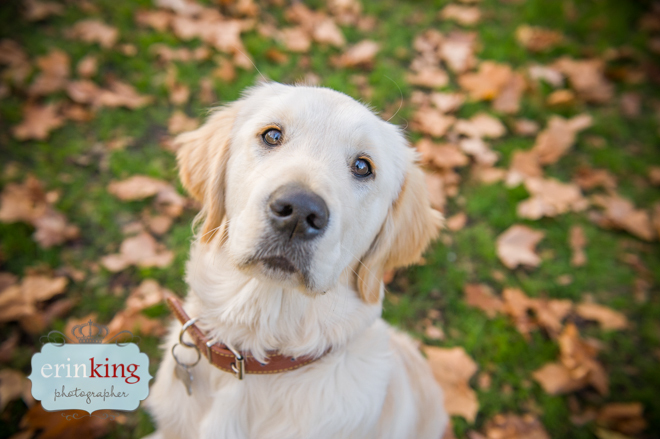 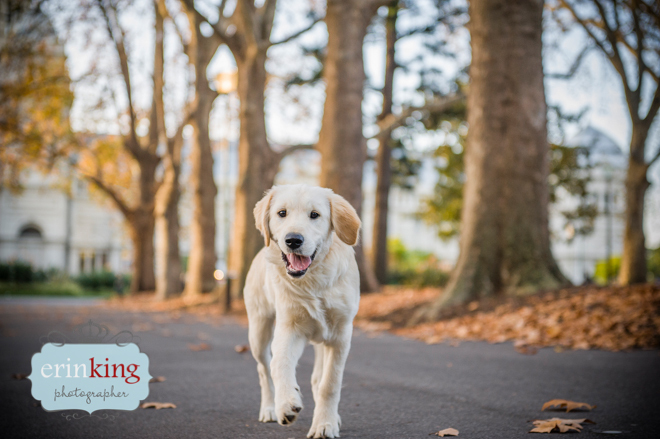 Amanda describes Ollie as active, affectionate, friendly, playful and cheeky – so you could say your typical Golden Retriever. 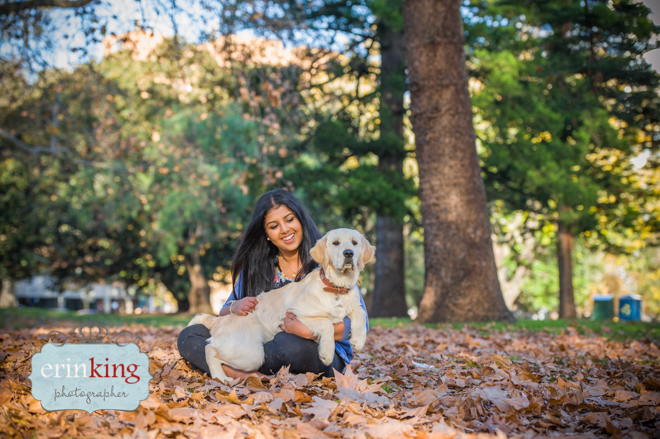 It’s taken 8 years since the passing of their German Spitz, Fluffy, to get another dog and Ollie has already won over not only Amanda’s heart but all of the family with his overly affectionate and loving personality. 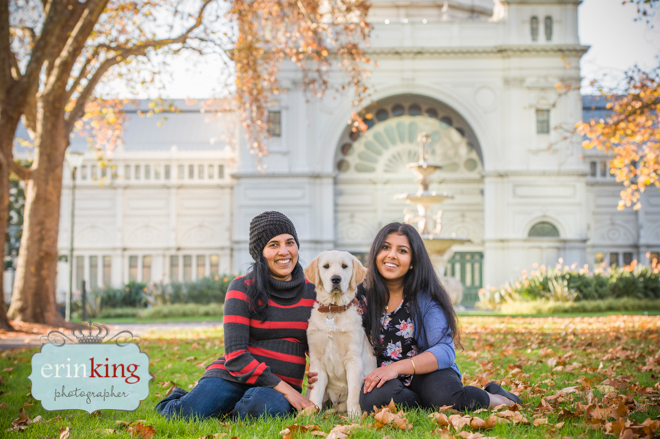 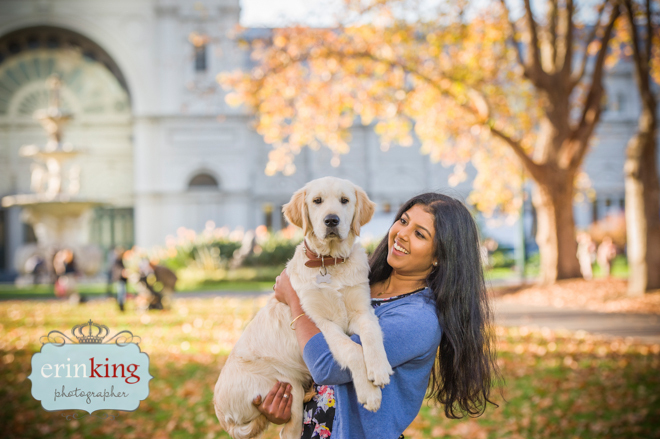 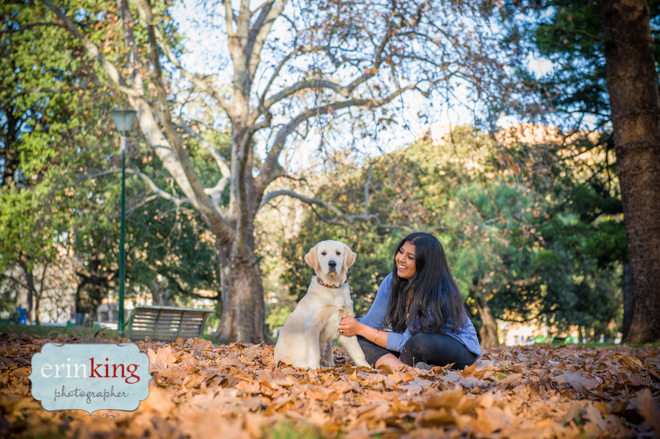 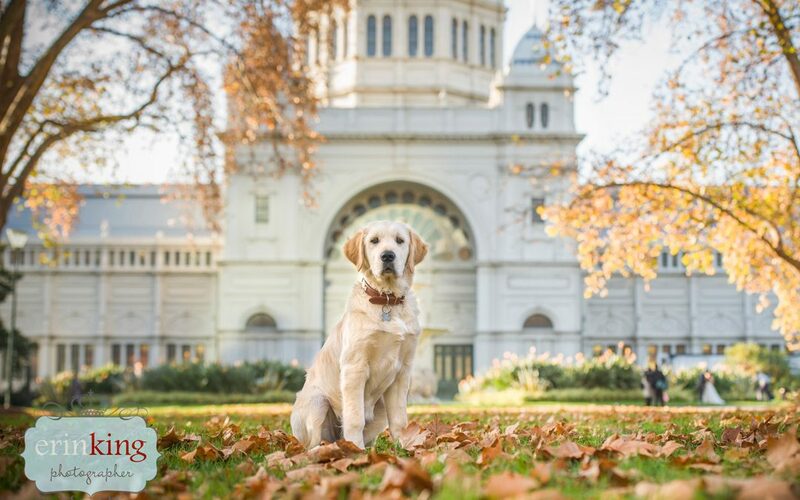 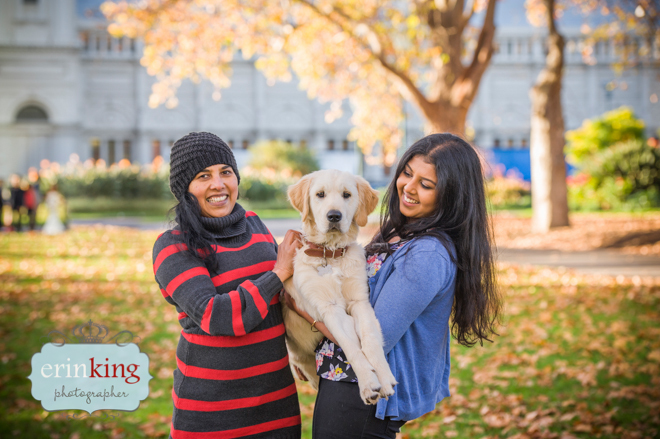 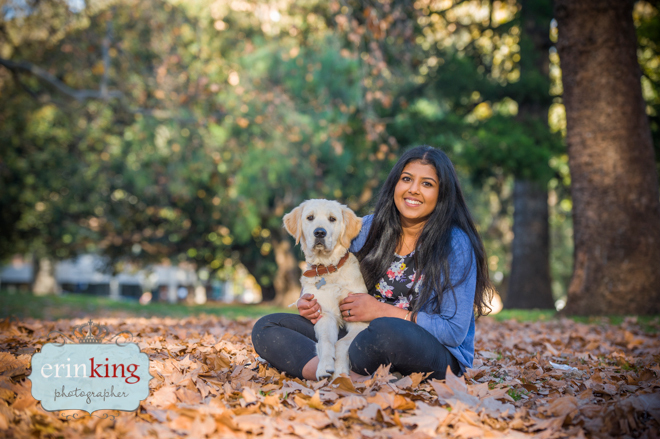 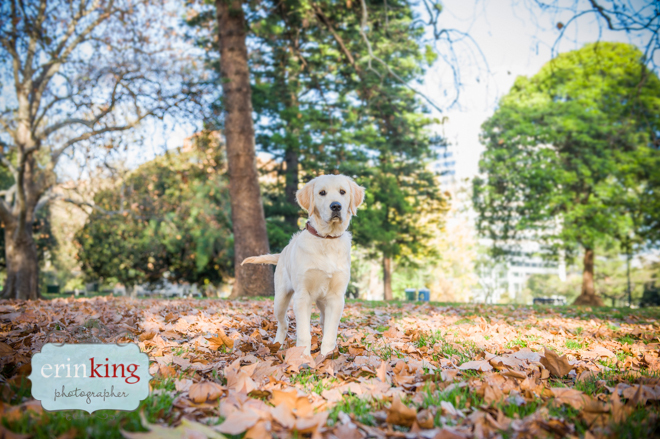 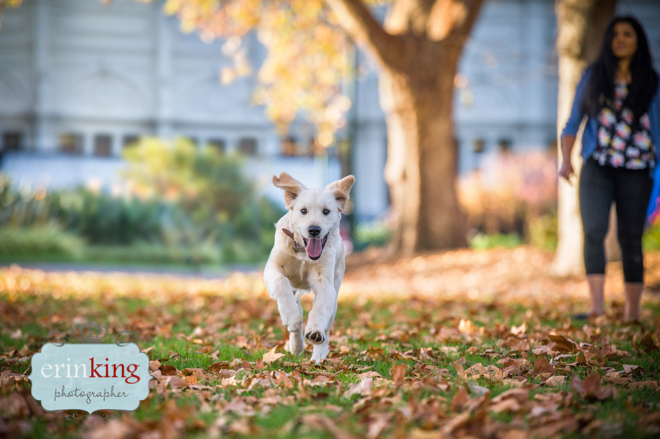 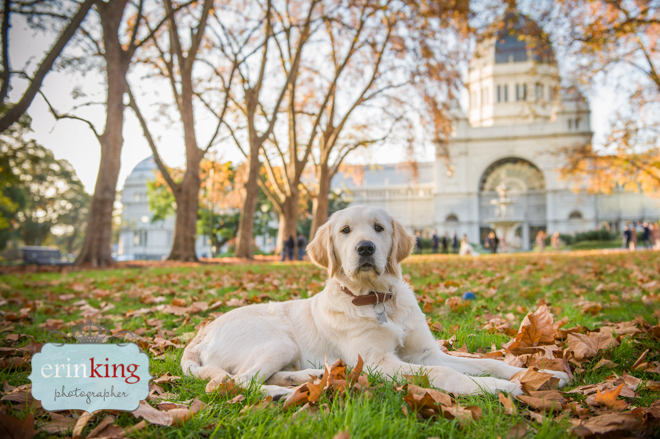 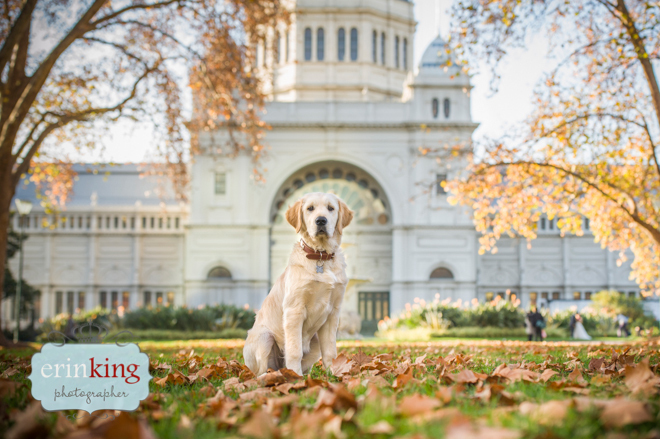 When we met for our shoot at the Carlton Gardens, I was amazed to see already after such a short time, how much Ollie had grown! 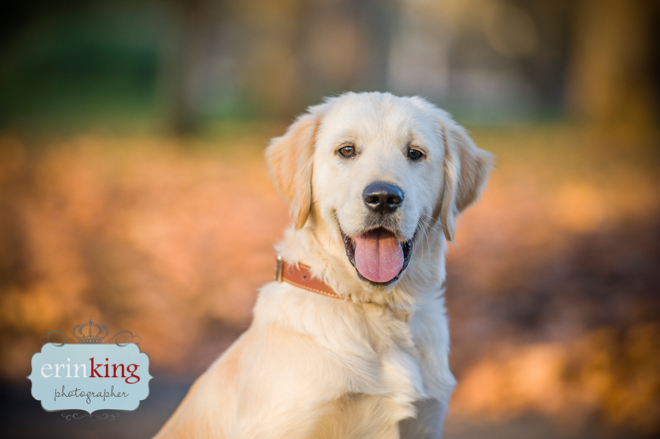 It just shows the importance of getting your puppy photos done quickly as these bigger dog breeds aren’t small for long!